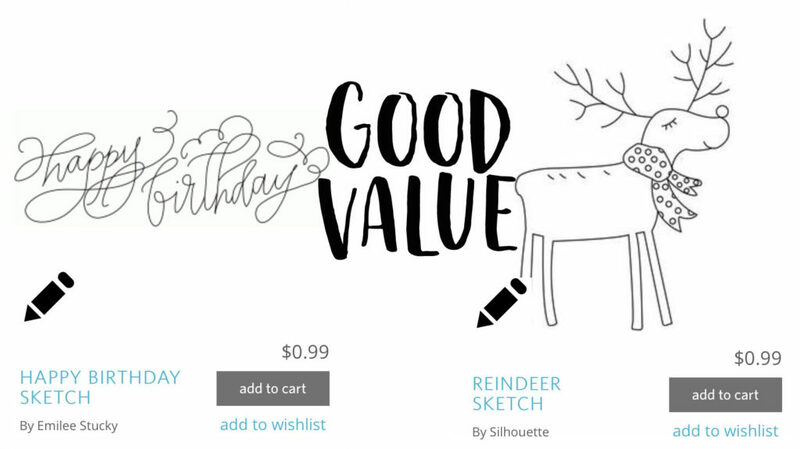 You probably already know that a subscription will give you the best price for Silhouette Design Store credits, but there are more ways to bring down cost, and get better value with or without a subscription. First off, if you do not want a monthly commitment, but like to buy store files occasionally like I do, you will want to purchase either a physical or downloadable digital download card at a discount BEFORE you need it. I bring this up now because, based on past patterns, we can expect a sale around Black Friday where all files are 50% off. So now is the time to get your download cards so you can be ready to take advantage of my next tip, which is to always buy files on sale. 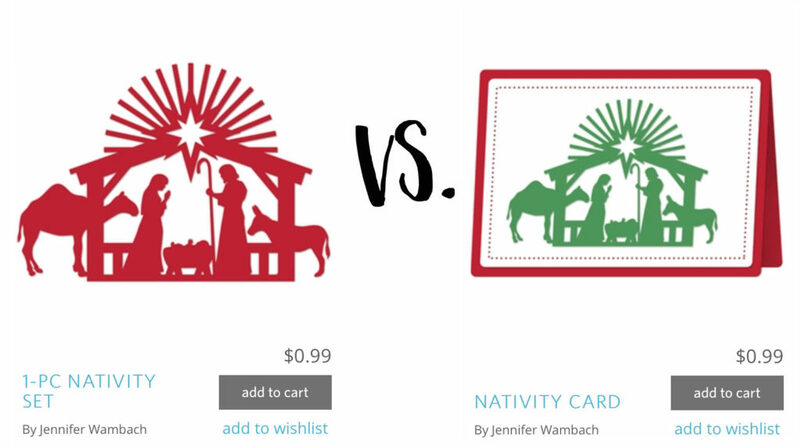 As an example, if you buy a download card at face value, and buy store files not on sale, they will cost $1.00 a piece. 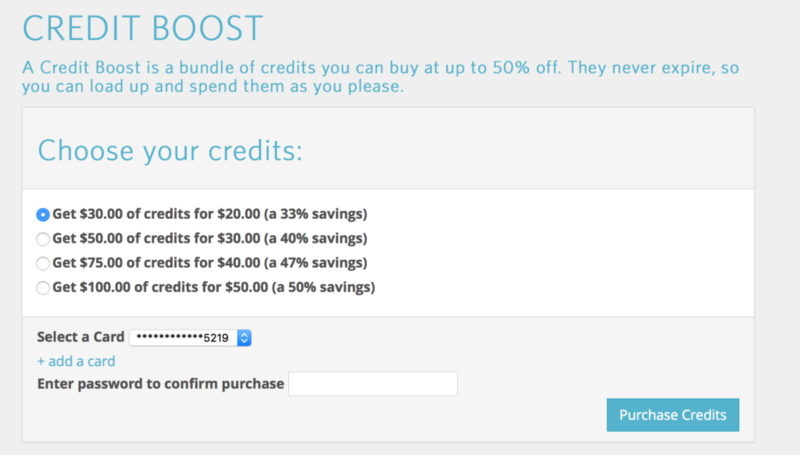 If, however, you get a download card at 30% off and buy files at 50% off then you have only paid 33 cents a piece. 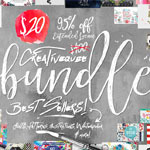 In addition to the periodic 50% off sales, there are frequent seasonal sales on the corresponding categories such as holiday, occasions, and other themes. There are also Daily Deals at 30% off every day (40% off on Fridays) and weekly clearance images at 50% off, so it pays to do some advance planning. Tip: to quickly find sale files, sort by Price low to high, but don’t forget to keep scrolling so you find the sales on the higher price point items, too. The same principles apply if you are buying a subscription. Wait for a subscription sale (also anticipated around Black Friday and/or the first of the year, 10-20% off) and then wait for the images to be on sale if possible within your monthly timeframe. It is trickier to find discounts on renewals, but not setting your account to autorenew will sometimes result in a discount offer as renewal time approaches. 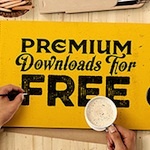 In addition to buying download cards or a subscription at a discount, and waiting until files are on sale, you want to wisely choose the files you purchase. There are only a couple of price points, and varying practices among designers, which results in a wide range of value between store files. Shop when you have a little time and populate your wishlist before the sale so you won’t be tempted to make impulse buys without time for comparison. I’ve pulled a few examples to show you what I mean. 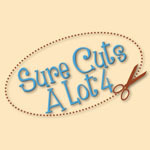 In this first example, the exact same cut is alone in one purchase, and included with a card in another, so if you buy the card, you get 2 extra cuts you can use elsewhere. 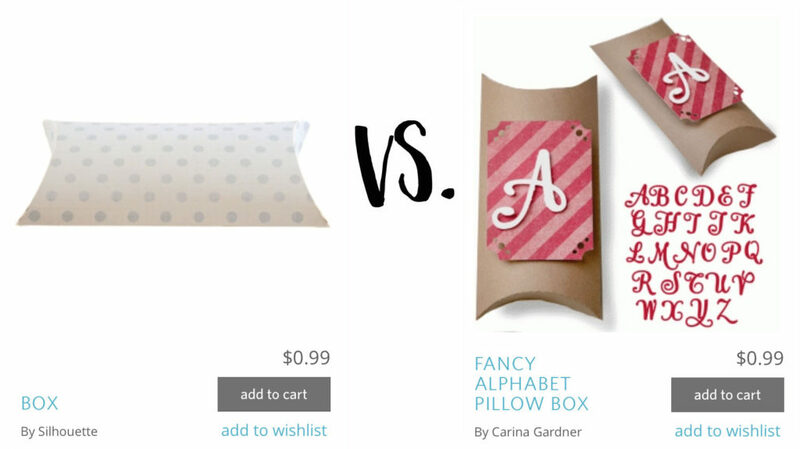 Here, a pillow box design from one designer includes a full alphabet and a decorative shape for the same price as the box file alone. 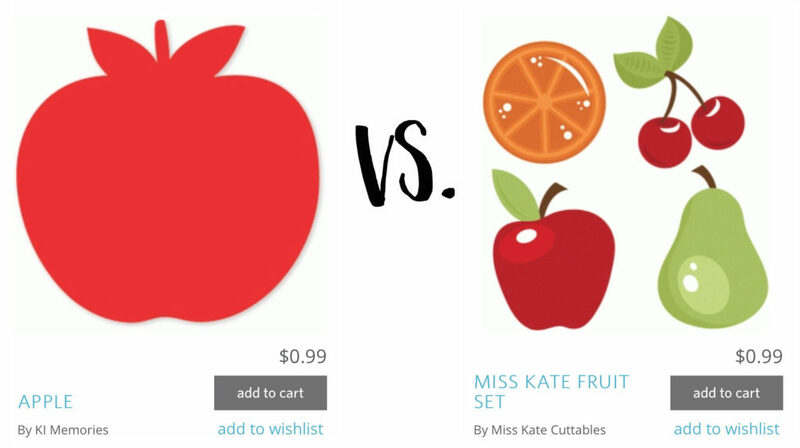 In the next example, buying a set of fruit, and/or multicolor files, give better value than single images of a single color. 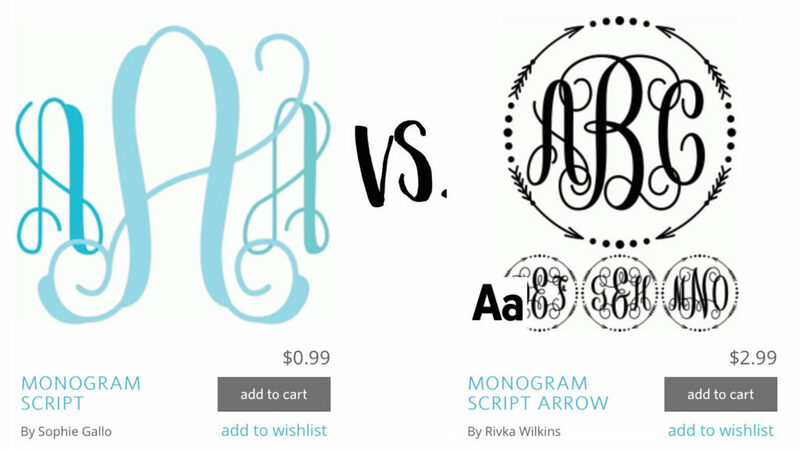 In the last example, a $0.99 monogram file includes the right left and center version of a single letter, while a $2.99 font includes the right, left and center versions of all letters, plus a border that can be used in any program, not just Silhouette Studio. 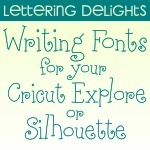 In general, I don’t recommend buying fonts from the Silhouette store because there are so many good free ones available (or less expensive for commercial use) , but monograms and sketch fonts are a good buy. 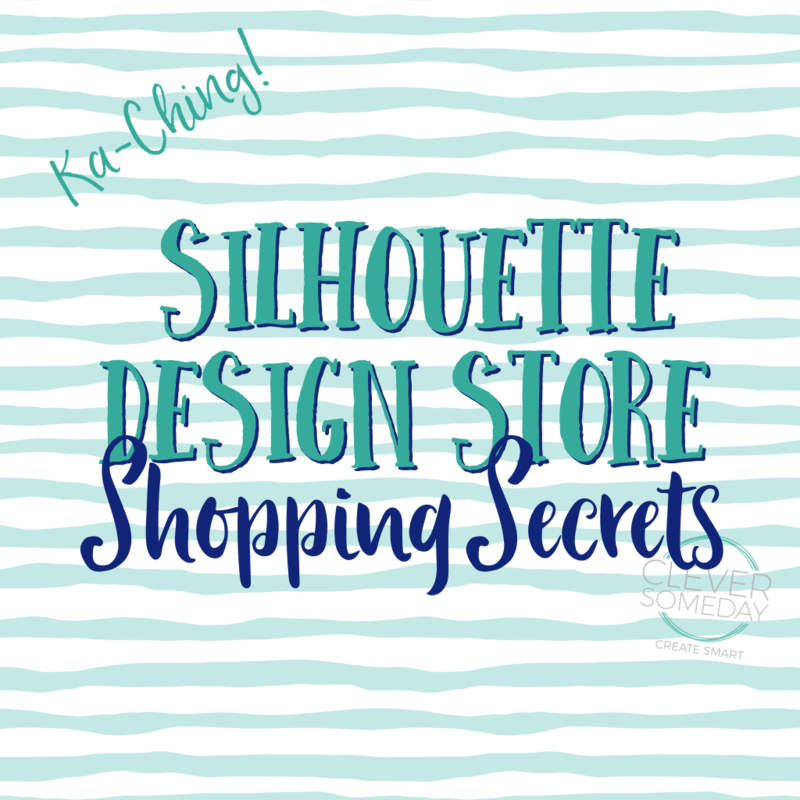 The best buys in the Silhouette Design Store, in my opinion are sketch files. That’s because single path files are hard to find outside the store at any price and are difficult to create. Lastly, before you check out, click on the free files tab and see if there are any files with the Get it Free banner (buy one get one) that are available to you. If you purchase a file and it is not constructed correctly or not what you expected (sketch files with double lines, for instance), contact support and request a refund. You don’t have to be stuck with a dud. 11/15/16 Update: You can now purchase discounted credits direct from the Silhouette store. So this is an alternative to buying discounted cards from 3rd parties. all great suggestions, tho I don’t buy anything from the store now as I still haven’t upgraded to 3.0 and it’s too much trouble. Good and timely advice, especially for those of us who are on the fence about buying or renewing a subscription. I’m populating my wishlist so I don’t stray too far off my list when the sales happen! Thank you so much for this very useful information, I shall certainly act on it. Thanks Kay. This is great advice! As always, thanks for your direct, easy-to-understand, illustrated information. So practical and useful. This was super fantastic and oh so timely!! Big thanks and many blessings to you. I don’t own a Silhouette but these are good tips in general. 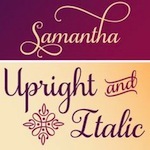 On a totally different subject, I absolutely love the font pair you used for the title page of this post. Would you mind sharing what they are? When I use your link to Amazon it shows the price at $23.39 (w/free shpg), not $18.09. Hi Robbin, as I said, prices fluctuate, but I’ve removed the prices to prevent confusion. Thank you for reminding me about the $25.00 Gift card and $6.99 Gift card. I got them both!! Now just waiting for Silhouette to have a sale. I purchased the SIL card from Miss Kate’s Cuttables, but I can’t find a SIL code anywhere and I’m unsure if they just mail you the actual card. I’ve email them but haven’t gotten a response. Do you know how they work their SIL cards? Miss Kates says they email the download code within 24 hours but usually much sooner. 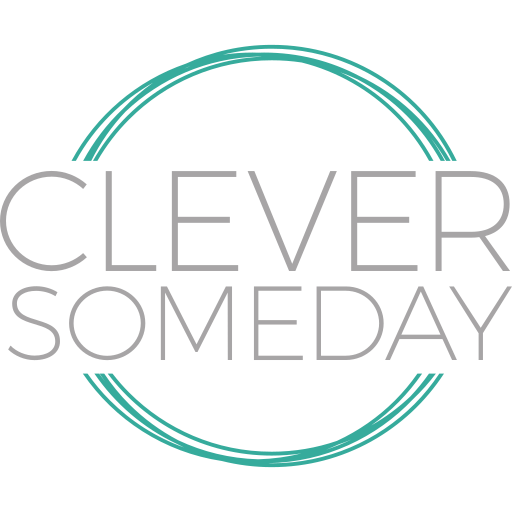 Be sure to check your spam folder if you don’t get an email from them soon and contact them directly if you don’t get it. Thank you for your response, I did get the email but I’m not seeing a download code. I also “purchased” one of her free designs, and did the download for that. The only code next to my SIL card on the email, does not work when I try to enter it in the SIL store. I have the mailed her twice now with no response. What has me concerned is that it says on her site you must download within 5 days of purchase, and this is the 3rd day. Thank you again for trying to help. It is a holiday weekend so that is probably why you have not heard back from Miss Kate. The 5 day limit applies to her svg files, not download card purchases, but I hope you can get it resolved soon. Thanks Kay. Just starting to use my Cameo again a lot lately. And your site is the first place I look for answers. Where is the best place to get DE and is it worth it? I really want it for Nesting, but If i can nest without it, I would like to learn.